The New Year represents new beginnings, new possibilities, and second chances. For the first ten days of 2013, this was the case for me. 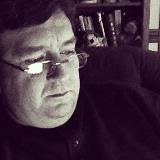 On January 11, all of that changed with the news that my dear friend of 30 years, Rick Stilwell, passed away very suddenly. Out of the ashes of this terrible loss arose a #LiveLikeRick movement, encouraging people to love their families, work hard, work your passion, and "Crush It." The loss of my friend was devastating, but it has inspired me to live better, love deeper, laugh harder, learn diligently, and leave the world better than I found it. Some other major highlights of 2013 included the graduation of my twin daughters from high school, and their matriculation to out of town Universities. My return to full time ministry and teaching were also high points. Reconciliation and reconnecting with precious friends, a move, and growing deeper in love with my wife every day were also some great moments of 2013. I knew on July 26, 1995 that someday this day would come. This was the day my beautiful daughters were born. First came Jenna. She hardly made a sound. She weighed 5 lbs and had more hair than my Dad. Then came Katie. She weighed in at 2 lbs, 12 oz. She was gray and not breathing when she was born. The staff were all trying to be positive, but I could see their faces and concern. After two of the longest minutes of my life, Katie let out a scream that I believe was heard all the way to God's throne! She announced to the world that she was alive! She has not slowed down since. Jenna was laid back, just taking it all in. 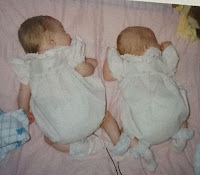 They were premature, so they spent some time in the NICU. Jenna stayed two weeks; Katie stayed for a whole month. Their first year was filled with doctor visits, home heart monitors, and very little sleep. My review of the Three Stooges reboot can be summed up by a play on Curly's famous line, "Yuck, yuck, yuck!" I debated for months whether I would even watch the film. I honestly think it should never have been made. I have been a fan of the Stooges since childhood. My Dad introduced me when I was five. I introduced my own son to the original Stooges. The Three Stooges didn't need a reboot. The classic Stooges have stood the test of time, five US wars, and fifteen US Presidents. The new movie, just as I feared it would, cheapened the legacy of the original Stooges. I have never been very good at titles. As a writer, it is hard to publicly confess such a flaw. Even my sermon titles could use a little more zing. Sometimes it comes, sometimes I have to dig deeper and deeper until the "zing," ummmm...zings (see what I mean?)? I am a blessed man. I am blessed because I am a Dad. I am blessed because I have a Dad. 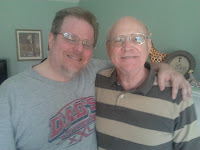 The unfortunate part of all of this sentiment is that I didn't realize what a wonderful Dad I had until I became one. I always get a bit melancholy when Father's Day rolls around. Okay, sappy. My biological father abandoned us when I was about 12 years old. We didn't see or hear from him for many years. To this day, I really don't know why. He never told me. I never asked. It was what it was. The last time I saw him was in January 1992. We had a nice visit and took lots of pictures. 35 days later, he was killed in a freak car accident. Whatever explanation I would get from him went to the grave. I fell into a deep depression.